One structural component of Audible Dwelling is both public loudspeaker and interior space from which sound is emitted from it. 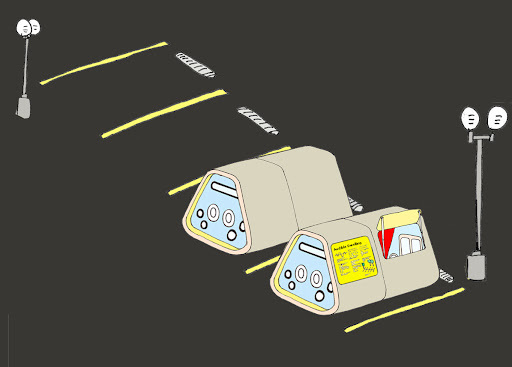 These illustrations are part of the planning. The diagram is a cross-section of the loudspeaker component with attention to the "transmission line," a strategy for constructing and tuning the enclosure of a speaker to match the resonant frequency of the woofer. While sound is projected outside from the woofer (in the bottom left of the drawing), the woofer also makes an equal and opposite recoil into the interior of Audible Dwelling. 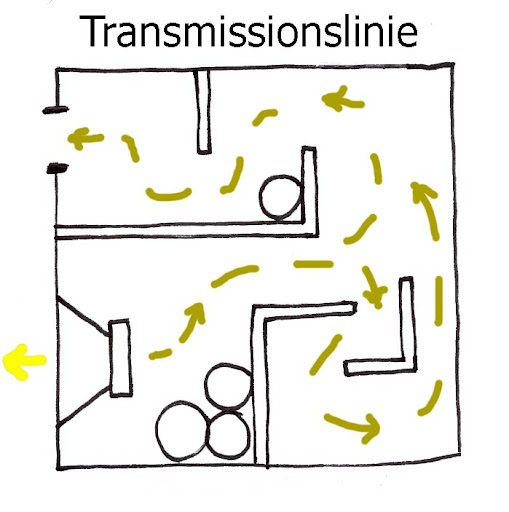 The labyrinthine path in this sketch traces the interior trajectory of this opposite force from the woofer, connecting the woofer to the "out-take" window (top right), tuning the enclosure. Construction begins next week on Audible Dwelling!